Are You Busy Doing the ‘Right’ Things on LinkedIn? Are LinkedIn Groups Worth Your Time? Are LinkedIn Ads Worth the Price? If you have ever been in sales, you know how frustrating it can be to find qualified leads. And while LinkedIn makes sales prospecting easier, if you are not careful you can easily ruin your opportunities. 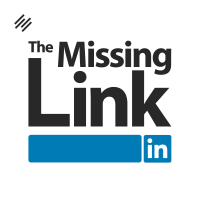 Eve Mayer (AKA @LinkedInQueen) is one of the most influential women in social media according to Forbes & CNN, and in this episode of The Missing Link, she shares her insights into how to use LinkedIn for sales leads. Voiceover: This is The Missing Link with your host the insufferable, but never boring, Sean Jackson. Sean Jackson: Hi, everybody, this is Sean Jackson with The Missing Link. I’m here, as always, with the wonderful and effervescent Mica Gadhia. Mica, how are you? Mica Gadhia: I’m awesome, awesome. Sean Jackson: Mica, LinkedIn, that’s all we seem to talk about. When I say LinkedIn, from a marketing perspective, who do you generally think it appeals to from a marketing perspective? Mica Gadhia: Definitely, definitely our B2B market. Sean Jackson: It just seems kind of obvious, doesn’t it? All these professionals there. We’ve been talking about other ways LinkedIn can be used, but at the heart of it, it’s the B2B marketer. Guess what I did, Mica? Sean Jackson: I got an interview with somebody very special. Mica Gadhia: Oh my gosh. Sean Jackson: The person who is the ‘queen’ of LinkedIn. Mica Gadhia: Eve Mayer, no way. Mica Gadhia: It’s your style, Sean. I love that. Sean Jackson: Well, that’s how I got my wife to marry me after five years, so it tends to work out pretty well. Mica Gadhia: Oh I’m so excited. Sean Jackson: I was able to get her at the Social Media Club here in Dallas, right before she was able to speak. I bribed her with a cup of coffee. She was so kind to sit down and join us for a little interview. Are you ready to hear it? Mica Gadhia: Oh I’m excited, yes. Sean Jackson: Before you do, I want you and everyone in the audience, like I always say, if you want the best resources about LinkedIn, if you want to get all of the things that I’ve curated up about LinkedIn, I’ve got something special for you. I tell it on every Podcast, the same thing, because I want you to do it. I want you to pick up your phone. I want you to send a text message to 41411. Pick up your phone. Send a text message to 41411 with the keyword ‘mylink.’ That’s all one word. Don’t let it auto-correct for you. Stop that auto-correction. It’s ‘mylink.’ Just 41411, and in the message, send ‘mylink.’ What will happen when you subscribe to my text messaging, I’m going to send you a link to a discussion group in LinkedIn that’s private. That’s hidden. It’s the only way you can find it. It has all sorts of good and great resources on LinkedIn marketing. Sound good, Mica? Mica Gadhia: Fabulous, yes, yes. Sean Jackson: If you’ll do that, I’m going to go ahead and start hitting the play button on my interview with Eve Mayer, the @LinkedInQueen. Voiceover: The Missing Link is brought to you by the Rainmaker Platform, the complete website solution for content marketers and online entrepreneurs. Find out more, and take a free 14-day test drive at Rainmaker.FM/Platform. Sean Jackson: Here we are with Eve Mayer, otherwise known as @LinkedInQueen on Twitter. Eve, how are you? Eve Mayer: I’m pretty fantastic. Since you bought me a coffee, I feel even better. Sean Jackson: Should I call you “Your Highness,” by the way, is that appropriate, or Eve? Would that be okay? Eve Mayer: Anything that exudes royalty or Eve would work. I’m good either way. Sean Jackson: Either way, either way. Will you tell our audience a little bit more about who you are, what you’re doing, and why you love LinkedIn? That is how my interest in social media as a whole began. It began on LinkedIn. I spent about six months really delving into LinkedIn, going to different companies I had worked at before in all different industries, and asking them to give me a business issue they were having that I could help them with through social media. First, it was just LinkedIn. Then it moved on to Twitter, Facebook, YouTube, and everything else, but LinkedIn remains, honestly, my favorite social media. By the way, I do not work for them. I love them, but I do not work for them. It’s just a place that I can show the quickest return investment for our clients. Sean Jackson: Wasn’t it sacrilege back then? LinkedIn is for job seekers only. It wasn’t a cool tool. I don’t even know if it’s a cool tool now. Back then when you were doing it, the idea of prospecting on LinkedIn, wasn’t that a little bit outrageous at the time? Eve Mayer: Absolutely, and that’s what I like to do. I like to do outrageous things. I like for them not to be cool. You know what’s really cool, Sean? Being rich and making money. Then you can at least buy things that make you look cool, so that’s really helpful. Sean Jackson: Let’s talk about that. Quite frankly, I think for our audience, what we really want to find out is what are some of those tactics, those techniques, to really use it as a prospect. What is something beyond the obvious? Anybody can buy a freaking ad, right? It takes a little bit of money and a credit card, and voila, somebody will click on something. I want to know, and our audience wants to know, what is it that is a really different tactic that may be something that most people don’t think of when it comes to LinkedIn for prospecting, for building their business? Eve Mayer: The first thing would be, I want you to consider the last few notes that you’ve gotten from a salesperson on LinkedIn. I want you to open it up. I want you to read those three or four paragraphs. Then I want you to never do what those people are doing. First of all, don’t be a jerk. Don’t be someone who is obviously just there to sell. Pretty much don’t do what 98 percent of people are doing on LinkedIn when they’re trying to sell. Relationships matter, as they always have in sales. We’re not really doing anything revolutionary here by using LinkedIn to do selling. It’s still the same process. It’s getting to know somebody that you have something in common with, or you’re interested in having something in common with, reaching out to them and building a relationship. Hopefully, you’re always going to the next step — which, to me, is either a phone call or an in-person meeting. We’re trying to build a relationship. Eve Mayer: Sales hasn’t changed. It’s just that LinkedIn existed as a place where everyone who, at some point, wanted a new job, which we all go through. At some point, we’re a jerk and we get fired, or we decide we can do better and get a new job. We go and dump all of our information on LinkedIn in hopes of getting a new job — which makes LinkedIn, in my opinion, the most powerful sales database we have ever seen. People are willingly putting that information in there. For years, people didn’t even view this as a sales database. Many companies still just view this as a tool for recruiting. One of the biggest roadblocks to companies, large companies and medium-sized companies, using LinkedIn for sales is they are fearful. They are scared of helping their employees improve their own LinkedIn profiles. They’re scared that their employees will then go and get recruited by someone else. Eve Mayer: Now if someone wants to go work somewhere else, the fact that their LinkedIn profile is a little bit better, in my opinion, is not going to change that fact. People are going to work where they want to work. They’re going to go get hired if they want to get hired somewhere else. If a company wants to retain someone, they should give him the tools to do the best that they can in their job. Eve Mayer: Especially in sales today, LinkedIn is an optimal tool for business-to-business and also a very overlooked place for non-profits to raise funds through company support, corporation support on LinkedIn as well. Sean Jackson: Listen, I want go through what you earlier said about that connection, reaching out to people because there is that InMail feature, right? You can buy a pro account. You can sit there and buy credits to send email to strangers, if you will, or have your friend’s referral. Talk to us a little bit about that initial approach, because I think that was great advice, where you said do what all the sales people are doing and don’t do that — but also, I think it’s more important, what should they be doing? For example, you connect with someone. You see that they’re connected to somebody that you would really like to talk to, that you’d really like to get in connection with, the second degree, let’s say. What is the process that somebody should go through to start reaching out to that second degree, where they don’t have a personal knowledge of that person? What is the tactic they should be doing? Eve Mayer: One of the main things I’ve done since a year after I started studying LinkedIn was train sales teams at companies on how to do this. Because it’s not the simplest process, but it can be boiled down. It can be customized to how a company should do it, fitting in with their own sales process. It has to emulate what they’re already doing. We shouldn’t be blowing up what they’re already doing that’s already working. We should take what they’re already doing and put it through LinkedIn to see if it works there, too. I encourage people to take a class from us, take a class from someone, read a book on how to use LinkedIn for sales. InMail is a great tool. I don’t think it’s always the right tool. I think it’s one in an arsenal of ways of reaching out to people on LinkedIn. The main thing I will say is stop using that reach-out message as a sales pitch. It is not a sales pitch. If you want to sell to me, the place to say what you’re good at, and what your company and you can offer is on your LinkedIn profile itself. When you reach out to someone in an initial message ask them for what you want, which is the next step. To me, that is a coffee, or a meeting, or a phone call. Don’t say, “Hey, do you want to buy some stuff?” I wouldn’t appreciate that if you walked up to me tonight the first time we met, and you wouldn’t appreciate it from me. We’re not going to be jerks in real life, and we’re not going to be jerks online. We’re just going to ask for what we want. People are intelligent enough to hear that you’d like a phone call with me, to look at my profile on the side, “Oh, she sells social media services. I want to talk to her because I have a need,” or, “I really don’t, and I’ll tell her, ‘no thank you. '” Being truthful, being transparent, and asking for what you would actually like — and being truthful about what you can offer and what value you bring in your profile — is the way to go with that. Sean Jackson: They have a couple of features in there, and certainly, I’ve talked in the past about discussion groups and the value they play. I want to talk a little bit about Company Pages. They’ve got these pages where you can put your products, or company, et cetera. Some people may feel reluctant because, “God, I don’t want them to know all my employees that I have.” Et cetera. Do you any advice for people who are looking at Company Pages in the B2B space, and in marketing, what they should be putting in there? Should they even be using it? Eve Mayer: They should absolutely be using a Company Page. Most companies aren’t fearful of it too much because they mostly see it as a recruiting tool. It is definitely a B2B sales tool. Putting the features of the company on there and the products are important. The features around the Company Page updates have been vastly improved over the past year. The ability to interact with that is there now. A company should post once a day on weekdays, in my opinion, about what’s going on in their company. Although the Company Page is important — and it’s a great place to talk about your company — it is not nearly as important as the individual LinkedIn profile pages of your employees. Eve Mayer: Maybe your Company Page has 1000 followers, for example. Who knows, right? Let’s say you have 100 employees. Those 100 employees have, each one of them, 50 connections, 200 connections, 500 connections. When you add those numbers up, the power of the employee connections are much larger than the Company Page followers. We need to be looking at how we can empower our employees to use their LinkedIn profile to do their job better. If they’re in recruiting, optimizing their LinkedIn profile and teaching them how to use that tool. If they’re in sales, or management, or executive level, we need to optimize their LinkedIn profiles and teach them how to use that to achieve their business goal. Make it better for the employee. Make it better for the company. Sean Jackson: Now LinkedIn provides a lot of plug-ins that you can put on your site, et cetera. Do you advocate doing that? 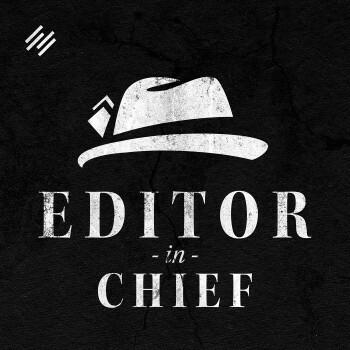 If I am a company and I have all my executives on my side, or maybe my sales team, are there ways to use the plug-in tools, or is it just not worth the time? Eve Mayer: It’s not something that I’ve done a whole bunch with. We’ve had a couple of companies do it that have enjoyed it and thought it was a good idea, but it’s not something that I’m very studied in. Eve Mayer: I don’t think I would answer that question the best. Sean Jackson: What is the biggest fail somebody can do on LinkedIn? You mentioned already sending out the solicitous emails to somebody that you don’t know and sounding like a used-car salesman. What are some of the other fails that you say, “You know what people, come on, let’s be a little smarter about this.”? Eve Mayer: One of the biggest things that I see repeated all the time is people who do not update their LinkedIn profile. I don’t just mean with your current job. I mean we are all, at some point, looking for a job. You’ve got to change your LinkedIn to match whatever you’re working on at the time. People will go on their LinkedIn profile when they’re looking for a job and be like, “I am the best sales person in the world. I have a 98 percent close rate. I do this. I do that.” Then they get a sales job, and their profile still says, “I am the best sales person in the world. I can sell anything to anyone.” That is not what I want to read from someone who is trying to sell me a business service. It makes me feel creepy, and I don’t like it. That’s one of the major things that I see happen. Also recommendations. A lot of people have recommendations only from managers. I don’t really care what your manager says about you. I want to hear what your clients say about you as a salesperson, about the service that you’re going to be selling to me. Sean Jackson: Do you see a chance when brands, consumer brands, if you will, could use LinkedIn to target people? Certainly the B2B space, I 100 percent agree with you, but I think the real question … because, let’s face it, Facebook gets all the attention, right? At Facebook, quite frankly, your gluten-free, fair-trade kitty litter I don’t want to care about when I’m on Facebook. I want to make a connection with people that have money. LinkedIn has money people because they have a job. Do you see a place where big brands — or even consumer-oriented, or something that may not necessarily be defined in the B2B space — do you see where they could come in potentially into LinkedIn and make a difference? Eve Mayer: We work with a lot of business consumer brands on LinkedIn around recruiting and around using LinkedIn for their presence and around partnerships. They’ll use it for — let’s say, franchisees, franchisors use LinkedIn heavily — business partnerships. I don’t see LinkedIn as a place that you’re going to have a heavy market or advertising straight to consumer. I don’t think that would be a huge market for that. Sean Jackson: What do you think of their new ability to post on LinkedIn? The fact that now anyone can go in and not just share an update, but actually do a full, entire blog post, and share it through the Pulse network? Eve Mayer: There’s a lot of misunderstanding around it. I don’t think people fully get how that works or that there’s been enough training on that for most companies, so they don’t really get the difference. They don’t know if it’s worth it. There’s a lot of confusion around it. Sean Jackson: Understood. Is there anything else that you think as part of this whole LinkedIn ecosystem that — beyond updating profiles, beyond not being the cheesy, spammy sales guy — is there anything else that you would want to share with people that says when you’re really looking at LinkedIn, especially in a B2B marketing space, this is the thing that you really need to focus on, you need to think about, or at least not do? Eve Mayer: Train your sales team. Get their profiles looking good. Don’t have your sales team looking not respectful or representing your company in a way that you wouldn’t want them to on LinkedIn. It’s become a real place for validation around when people make a purchase from someone. Get a book for them. Get them trained with us. Find a good class somewhere else they can take. LinkedIn offers some great tools, but I don’t think that they’re always necessary. Sales Navigator and InMails are great, but they’re not always the right tool for everyone. Some training might be the first step before those purchases that are ongoing and repeating are made. Sean Jackson: I can see why they call you the ‘queen’ now, Your Highness. Sean Jackson: You definitely know your stuff. Eve Mayer: Oh, that’s so sweet of you to bow. Sean Jackson: Again, Eve Mayer with Social Media Delivered. God, you’ve got to love that. Social Media Delivered, and actually you did — you delivered. Sean Jackson: You came. You showed up. You delivered. Absolutely. Eve Mayer: Even though I was late. Sean Jackson: Even though you were late, it’s okay. Eve, thank you so much for your time. Truly, truly appreciate it. Eve Mayer: Thank you, Sean. Sean Jackson: What did you think? Mica Gadhia: Oh, I loved it. I loved it. I learned a lot. I really enjoyed listening to her and you. Sean Jackson: What was the part that really stuck out to you? Mica Gadhia: You know, it’s interesting, here at Copyblogger I work with the certified writers, and I realize that we all have a different focus. I love the emphasis she put on updating profiles. I know that my profile within our company is going to look very different than someone else’s in our company. I loved that the fact that she really reminded me and showed the importance of how important it is to have individual profiles updated and clean and current. Sean Jackson: Yes. I definitely would agree with that. I think it’s something that a lot of people forget to do, just go update their profile from time to time. Sean Jackson: What did you think her moniker as the ‘queen,’ did she live up to the name? Mica Gadhia: I think she did, absolutely. I think I would bow to her. Yep. Totally. Mica Gadhia: Yeah, Sean. Yeah, it’s a two-way street, baby. Sean Jackson: I loved talking to her. She was so kind to take the time. Quite frankly, I’m sure I will bring her back on to the show at some point. I loved her advice for B2B marketing. Mica Gadhia: Yeah, me too. Thank you. Sean Jackson: If you want more B2B marketing advice or just information about how to be effective in marketing on LinkedIn, don’t forget about our text-messaging subscription system. It’s so easy. Just open up messaging on your phone. Type in 41411. Use the keyword ‘mylink’ — all one word. Don’t let it auto-correct. Just type it right in the message, and you will be subscribed to our text-messaging system, which will send you automatically a link to our very private discussion group that contains a vast number of resources and conversations centered on how to be effective in LinkedIn marketing. Mica, as always it has been a pleasure to have you again to co-host the show with me. Mica Gadhia: Oh, I love being here with you, Sean. Sean Jackson: Oh, you make it so easy. For the rest of you, I hope you have a very pleasant rest of the week. Voiceover: You have just experienced The Missing Link, exclusively on Rainmaker.FM. Great podcast and really interesting. I agree that LI is an overlooked tool for B2B. Thanks for this. Just a small point that I hope you can help with. I sent a text to the number but for some reason it would not send…possibly because I have a Hungarian mobile. Is there anywhere else I could get the link to the LI group? Just emailed you an invite to the group. Turns out our SMS system does not work outside of US/Canada. Thank you for leaving the comment and for anyone else that needs access to the link, outside of the US/Canada, please leave a comment. Would love to get access to the group here in Aus too. Thanks! Leaving a comment as per Twitter message. Looking forward to the invite.